34cm (L) 28cm (H) 13.5cm (W) approx. 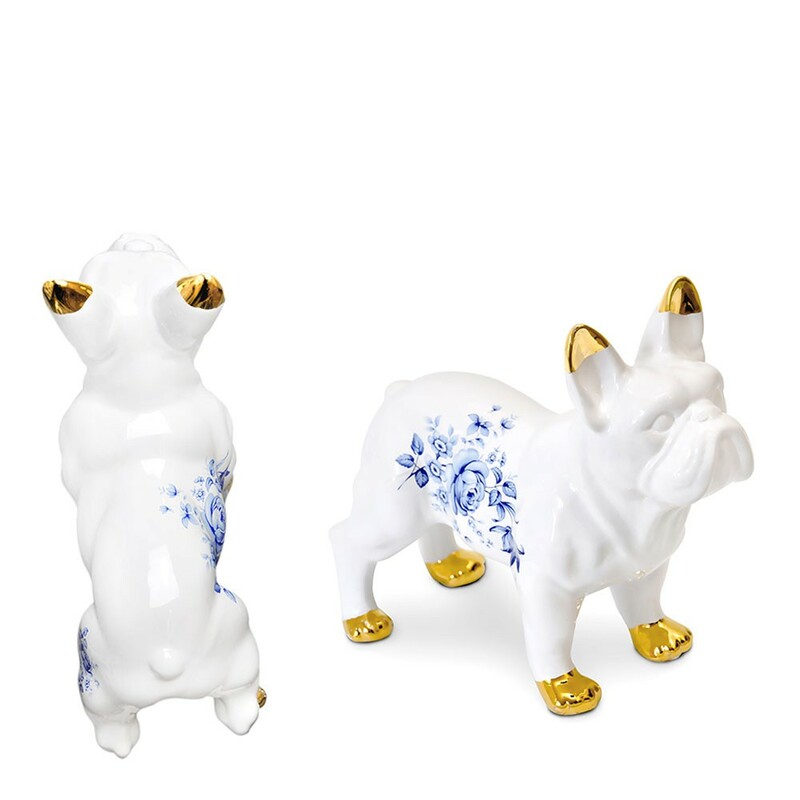 Decorative ceramic bulldogs introduce a modern and playful twist to the classically patterned china crockery that they take their inspiration from. 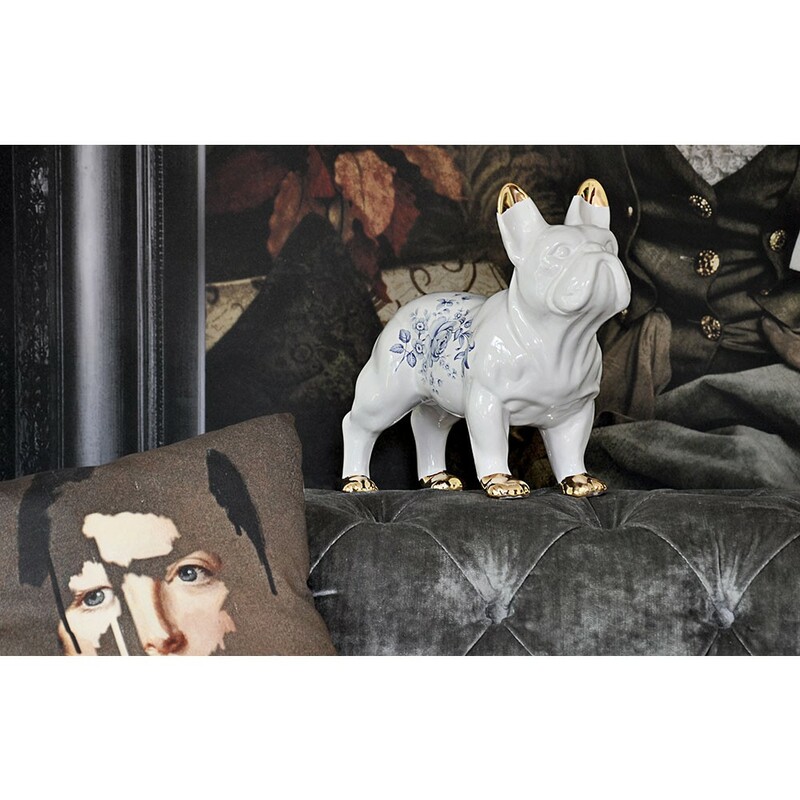 These little hounds look great on dressers, cabinets, warming by the fire or even as a table centrepiece, guarding your salt and pepper. Wherever you place them they’ll look at you lovingly every time you walk by. 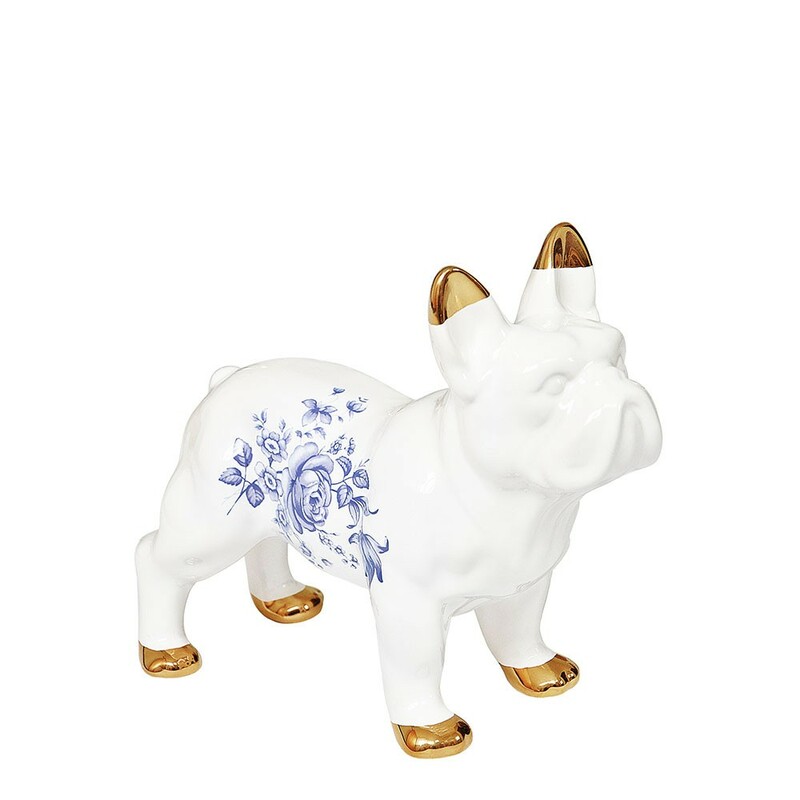 Made in a glossy white ceramic glaze with blue floral transfers and crisp gold lustre detailing.